Monday was my birthday. It was a lovely day here, too hot, really for mid-November (74 degrees! ), but I took advantage of it and walked these two not-so-small-anymore boys to the park and played with them for 2 hours. As we walked back they each told me how happy they were. It was too hot to cook, so my day was topped off with the ultimate treat: an impromptu dinner out at the "mango lassie store" (Indian Restaurant). 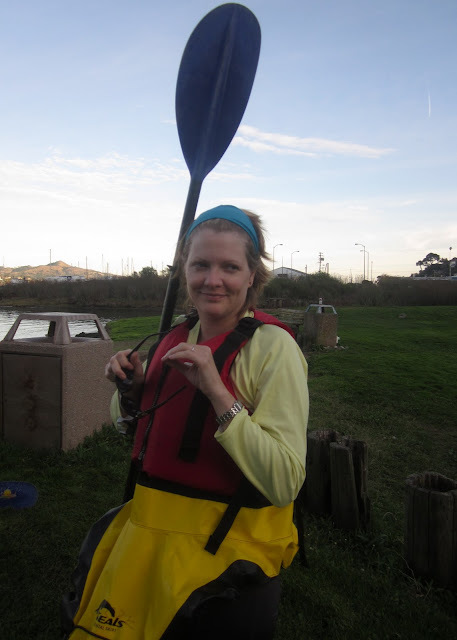 My real "gift" had come on Saturday: a moonlight kayak trip with my husband on a bay off Sausalito, looking back at San Francisco, all the lights, at the stars, imagining what it must have been like for the Ohlones, not even 300 years ago. It was enchanting, such a truly wonderful gift-- and what a gift to be able to live here, where the past is so close, where nature is endlessly revealing herself in new ways.